No matter how close you may be to your siblings, talking about money with them is almost always going to be a challenge. Talking about money with anyone – even a financial planner – can be difficult. When you add the unique relationship most of us have with our siblings, which may still involve a bit of a rivalry, money is usually a topic best left to the side. However, sometimes, talking about money is inevitable. In this article, we’re going to cover three of the most common reasons you may need to learn how to talk to your siblings about money. No one wants to talk about their weaknesses. This is why your sibling may not want to bring up money problems with you. Being from the same family means that your sibling might make less, but feel like they should actually be making the same (even if they’re much younger). This can add to the friction when trying to address their money problems. If you suspect your sibling is having money problems, one simple way to make it easier for them to talk about it is by mentioning that you are having issues of your own. Yes, this may be a bit of a white lie, but the topic of money will be difficult to broach any other way. We’re not telling you to make up an elaborate ruse. Even discussing concerns you have for the future (e.g. retiring on time/with enough, helping your child with college, etc.) can do the trick. Also, only do this when their spouse isn’t around. They will most likely become especially defensive if their husband/wife is in the room. There’s no need for your better half to be around, either. Money is a sensitive enough subject and you don’t want your sibling to be embarrassed. As long as it doesn’t lead to more problems, allow your sibling to make excuses for the issue. For example, they may be low on funds because they say the stock market took a turn. Maybe it did, but maybe they also shouldn’t have been doing their own investing on the side. Provided they quit doing the latter, there’s no reason to make them admit their mistakes. Learning how to talk to your siblings about money doesn’t necessarily mean giving them any. We’ll talk about this in more detail in just a moment, but, sometimes, it’s just not going to be a good option. For one thing, you may not have the funds. Other times, giving a sibling money could make you a enabler. For example, they may have a gambling problem, and giving them money is not going to make that go away. Letting them know you’re a sympathetic ear will probably make a big difference. If you’re doing well money-wise, you may have suggestions for them, too. Again, for the sake of their ego, don’t “order” them to take your advice. Tell them what you’ve done to get where you are, but do it in a way that doesn’t sound boastful. Perhaps the worst reason people learn how to talk with siblings about money is because their brother or sister is asking them for some. This is almost always an awkward situation. There are definitely times when the reasons are out of their control. They may have suffered from a completely unexpected problem that suddenly drained their savings. In that scenario, you should obviously do what you can. We’re talking about the other scenarios where your sibling simply hasn’t made good choices and now they want you to bail them out. Whether you do or don’t is completely up to you. That being said, there is one cardinal rule you must follow in these situations. Again, we’re not saying you can’t help your sibling with a money problem. What we are saying is that, if you choose to do so, you should just give them the money and never expect it back. Too often, any type of “contractual” lending between family members goes bad. If your sibling has already made some bad decisions, it’s possible they’ll put off repayment. This will also keep your head clear during such a decision. You won’t be thinking about how long you can go without the money because you’re never going to expect it back. Finally, this tends to be the most common situation where it helps to know how to talk to your siblings about money. 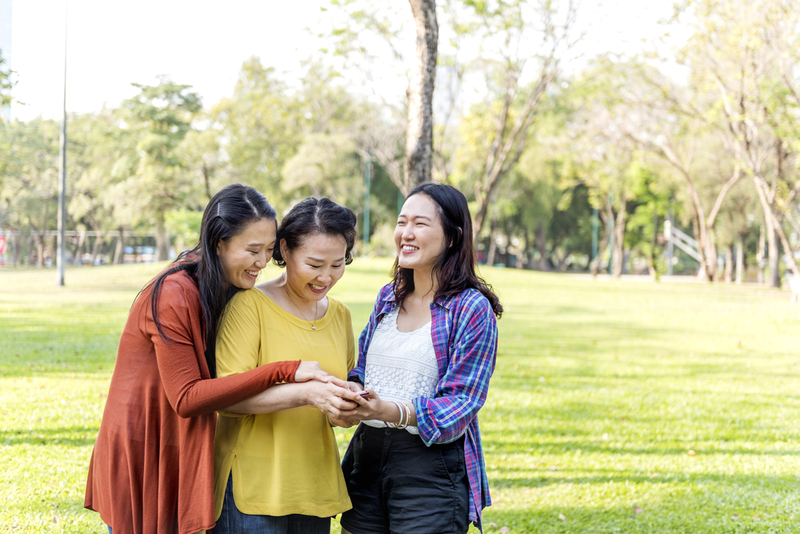 Ideally, you want to talk about your parents’ future needs long before it becomes a pressing topic. Otherwise, “now’s not a good time” may be the response you get right when your parents need help the most. Helping your elderly parents is all that matters here, so don’t let the conversation veer off into who has done more in the past or any other references to the eternal ledger many siblings keep on each other. All that matters is figuring out how you can both help ensure your parents are looked after. A lot of times, the easiest solution is to bring in a third party (e.g. a financial planner) who can help explain what your parents’ needs are and then suggest terms you and your sibling(s) can keep to. Invite your sibling to help choose this third party so they feel like part of the decision-making process and not like you’re bringing in a biased acquaintance. Even though you should now have a much better idea about how to talk to your siblings about money, know that this is still going to probably be an awkward conversation. Take your time planning and even practicing it before you proceed. If you would like a third-party to step in, whether to work with your sibling on their money problems or on planning for your parents, contact us today. Mooney Lyons can definitely help with these goals and many others.